Fuad frequently volunteers at his local non-profit care facility for seniors with complex care needs. 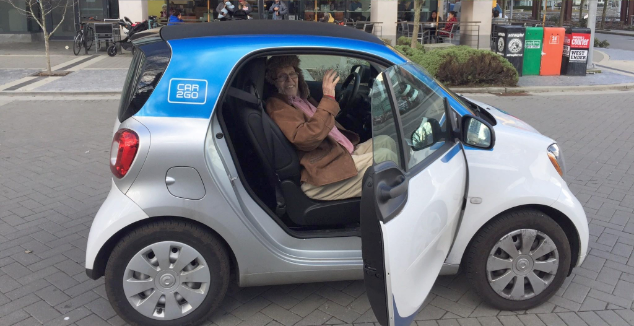 Read Fuad’s heartwarming story about how he and a man named Frank (pictured below) bonded over car2go. Fuad volunteers at Yaletown House, a non-profit care facility for seniors with complex care needs. The man in the photo is Frank. He and Fuad normally take a weekly ride on a Duet Bike. This is one of two specialized tandem wheelchair bicycles that were kindly donated. They have been going out, rain or shine, on adventures on the sea wall and various parts of Vancouver. Frank was not well during December and January – they had to set the bike aside until he recovered. But then Frank grew quite excited about taking the smart ForTwo out. Frank kept asking “what kind of car is this?” Fuad would respond: „It is a Mercedes.” – however Frank was not convinced. On the day this picture was taken, there was a black CLA serendipitously parked in front of Yaletown House. Fuad booked it on instinct as he was not sure if they would be able to take the bike, have to stay in, or be able to go out in a car. Frank is normally waiting for Fuad when he arrives, acting low-key even though he is always very excited about whatever adventure they will have together when they go out. Not this Wednesday. Frank was still in bed, not feeling energetic and definitely not his regular, mischievous, exuberant self, nor was he keen on going out on a winter day in Vancouver. He asked if they would take the bike. Fuad said, “no, but I have a surprise for you.” He curiously asked if the surprise was a half-car. Fuad said no. Franks curiosity got him out of bed, dressed, to the elevator and out the door. When he stepped out of the door Frank asked, if the car in front of the door would be their vehicle for the day. They just went on a short trip to their favourite coffee shop, but they both enjoyed it very much. Fortunately Frank got better. Since then, they are back on the Duet bike, but for them it is great to know they have the option to take a car2go. 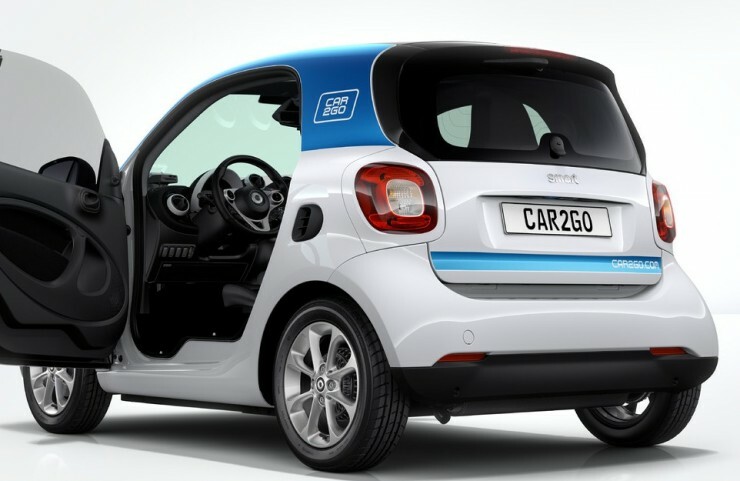 Fuad tells whenever they pass a car2go, Frank asks if they could just ‘borrow’ it. Then he reminds Fuad of the time they took the “fancy one” out.